All Over Again later appeared on Blu Mar Ten's third album, Black Water, which was released the same year. 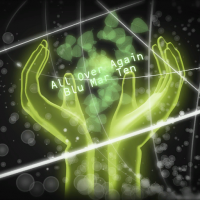 All Over Again is the only A Different Drum licensed song in DanceDanceRevolution UNIVERSE3, and the final licensed song from the label in BEMANI. This page was last edited on 14 December 2018, at 13:41.